I’m almost at the end of a whole-house decluttering and organising project, which has been both tiring and liberating. I try to clear out our excess belongings around twice a year, and it’s amazing how every time there is always a lot that we can let go of in order to bring more peace to our home and our daily lives. This time I’ve been spurred on by the pope’s encyclical Laudato Si’ and the intriguingly titled book by Japanese author Marie Kondo, The Life-Changing Magic of Tidying Up. There is a whole industry formed around home organisation and decluttering, which are just part of modern home economics. In Sydney I did part of and can highly recommend the Home Traditions course run by Kenvale College for anyone wanting to explore the human and economic value of work in the home and learn ways of doing things better at home in order to help ourselves, families, and communities flourish. It is important, especially for households with children, for us to get our living spaces in order. Our children’s physical environments, at home and school and elsewhere, are greatly formative. They learn as if through osmosis something of their own human dignity through their physical spaces. They learn what’s important in life partly through the way they see their parents and teachers treat physical possessions. What we use and enjoy and with whom, what we create and for whom we create, what we give away and to whom. We don’t need homes that look like art galleries – quite the opposite – but we need homes where our children will learn quite naturally what Jesus taught; that we build up our real treasure in heaven, not on earth. While the earth is also the place where we can see and know and worship God on this side of the veil. 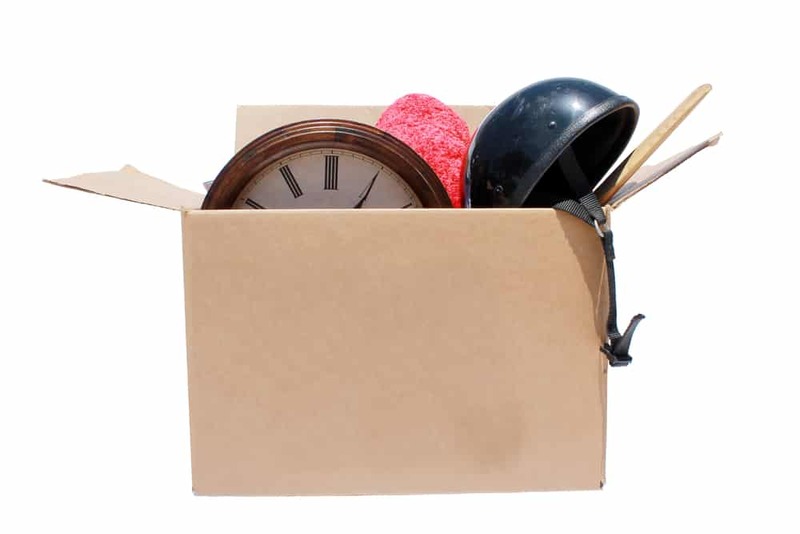 Clearing clutter is a lesson in spiritual detachment and holy simplicity. Our family accumulates a lot of things, mostly thanks to generous family and friends, but we don’t need to hang on to all of them forever. And on a practical level the more objects we have, the harder it is to locate a particular thing when we need it. Our families, and the homes we occupy, form a domestic Church. How can we remain peaceful and keep God in mind throughout the day if we are forever needing to look for a thing or rush out to the shops to replace something that’s lost and is needed? A lot of running around can be avoided by making sure we only have what we need or really want to keep – especially when we are busy parents with young children. And then we need to make sure we have a place for everything that we use. The physical spaces we occupy affect our spiritual life, and vice versa. Physical clutter definitely leads to increased mental clutter, and can impede us from being able to hear the still, small voice of God in our hearts. When we are careful about what we chose to keep in our home many of the objects we live with can be sacramentals; they can speak to us of God and help us to remember and thank God throughout the day or evening. This time I’ve cleared three boxes of books from our bookshelves, one with books on marriage and family life is destined for our parish library so that others can enjoy and profit from them. More than clothing or anything else, it’s the books that I’ve owned that tell the story of my life. It’s with gratitude that I let things like these – objects I’ve treasured for years – finally go to bless someone else. Most of them came freely to me as gifts or review copies, and as I take them in my hands I remember how this is just one way that God has provided for me over the past dozen years. I know that despite my beautifying effects we will never have a showcase home, but hopefully it will always be reflective and supportive of the dignity of the people living in it, and the blessing of our God, our family and friends. Previous articleCan divorced and remarried people receive Communion?